It’s great to know the Murray region boasts many experienced professionals and the engineering expertise dating back to 1944 of the Upton’s spans over three generations. Brothers Marc and Paul have helped build Upton Engineering into the business it is today. 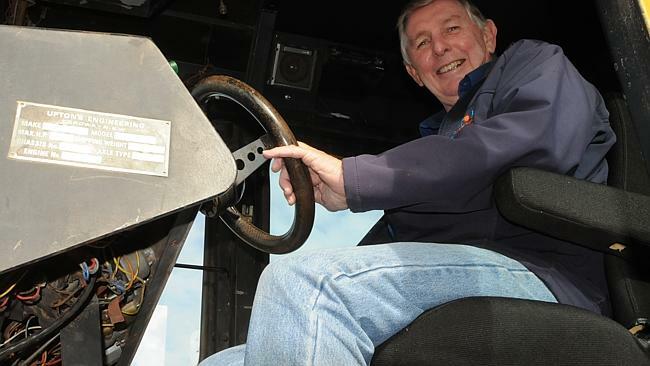 Specialising in broad acre irrigation and more recently solar tracking devices, this niche business based in Corowa, NSW has tried its hand at more innovative designs! A battery powered car? Yes, an old 1982 Toyota which has been converted to a green machine, overcoming the problem in hybrid or green conversions which does not compromise on the performance of the car. Paul Upton tells Murray Now, “We wanted to demonstrate that a 30 year old car can be good for another 30 years with this type of technology. We have created a zero emission system, whereby the lithium ion batteries charge from our solar tracking system, not from the power station”. For Upton Engineering this conversion was more of a demonstration rather than a commercial reality due to the high cost involved. The average cost of such a conversion is between $20K and $25K, and for the average person this may not be affordable. The batteries are the latest technology and are $6,000 on their own. Although once the initial outlay has been made it only costs approximately $2.50 a day to recharge. The car has a range of about 80km before a recharge is required; which is only limited to the number of batteries that are installed in the vehicle. “We would double the range if we doubled the amount of batteries in the car although that increases the weight and performance of the car. We tried to keep the weight relative to before the conversion, only adding about 20kg.” The car would be a fantastic commuter around town where you could charge the car at the end of each day. But what really makes this business tick is the ability to provide machinery and equipment which is extremely robust and can withstand the extreme weather conditions, not only in Australia, but around the world. 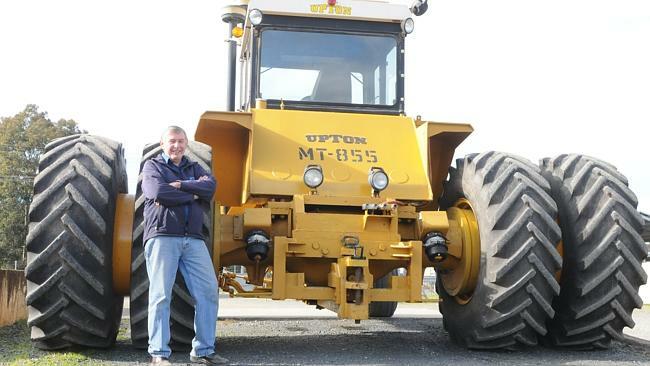 With demand overseas it is evident that there are cheaper imports coming into Australia making it harder to compete, although Upton Engineering believe quality will always prevail. “We design and build equipment (such as the central pivot irrigators) like a ‘meccano set’ or ‘flat pack’ into containers or onto trucks, which are constructed on site with relative ease. We can pack a 500m long irrigator onto the back of a single tray truck and build it on site. This is a real advantage” Paul adds. At Upton Engineering if a customer enquires with an idea to build machinery, Paul and Marc will do whatever is necessary to make that idea a reality. Well the 1982 Toyota is a perfect example of these creative minds in action! What of the future of Upton Engineering? Well there could be demand to renew the life of older vehicles on the horizon around the world. Closer to home Marc is hoping to convert a new (about 5 years old) Ute as the next project, and include the provision for battery monitors and a conventional 15 amp charging dock. Presently there are fast charge stations in the United States, and some car companies are selling cars without motors for conversion purposes. For more information on the car conversion please contact Marc Upton on 02 60331844 or email info@upton.com.au.